It’s a small harvest. Lots of herbs we use daily and I pick as I need, no big baskets full of produce here this month, just regular picking of the most delightful Basil I’ve grown yet. We’re eating it raw in salads and putting in everything it seems. This one is Basil “minuette”. 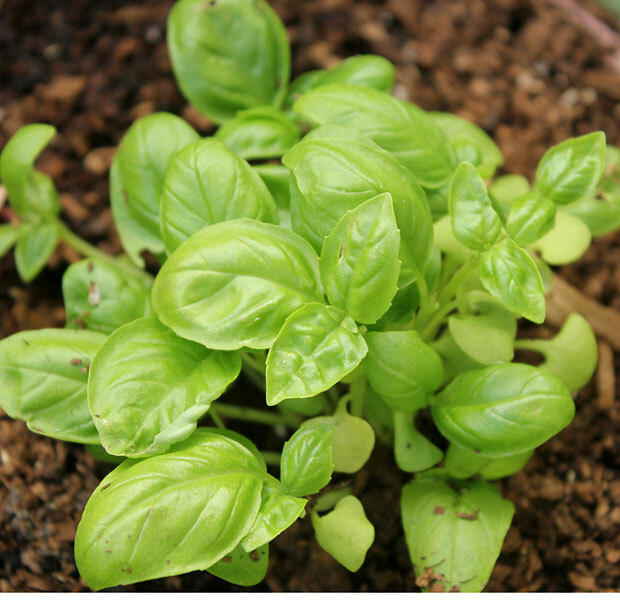 It is much smaller (smaller leaves, smaller plant) than the other Basil I grow which has a much stronger flavour and a very distinct, sharp taste. The minuette is lovely raw. Sweet, slightly tangy, not strong at all. Lovely. Add some cherry tomatoes, parsely, mozzarella or feta, balsamic and olive oil and Yum! I now have a regular supply of Rosemary. With two plants flourishing I’m never short of this wonderful herb. The Oregano is great and the Lemon Thyme is marvellous to cook with. We are all on diet here and these lovely herbs add wonderful guilt-free taste and variety to the limited portions I have to serve at meal times. The Herb garden really makes dieting a bit more interesting. My potato plant burst out of its bag and has been re-potted into a container where it is happily growing up. I’ve planted an additional Lemon Grass (because I love the plants and we use it in cooking a lot), and I’ve planted my first Brinjal ‘Black Beauty’. The curry plant adds an interesting texture and fragrance to the herb growers and I’ve popped a few Marigolds in between things to help keep the bugs at bay. 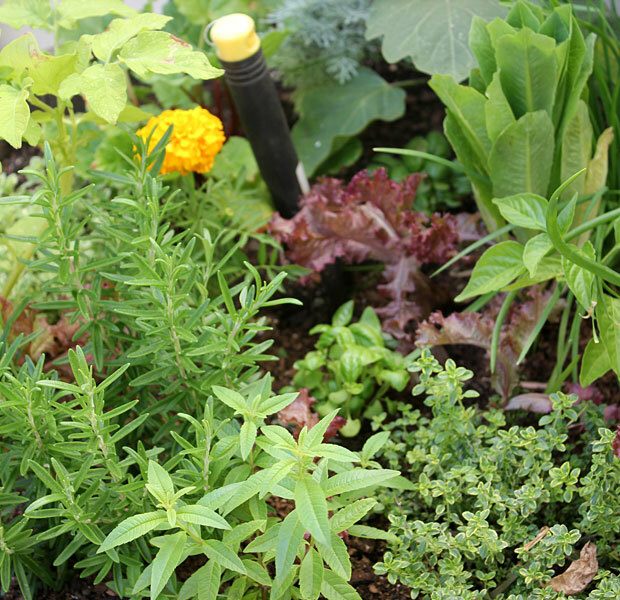 I never spray my herbs or veg with anything – they encourage the creepy crawlies to wonder on elsewhere (to my perennials, sigh). Also picking lots of chives and fennel is in abundance here, but Coriander keeps bolting and the lettuce are struggling – so instead I’m giving Rocket a try to see how that does. What are you harvesting this month? Please join us for Garden Bloggers Harvest day in December and let us know how your Veggie Garden is doing! This year we have a HUGE crop of granadillas coming. Lots of fruit. And large too. I saw the photo on your blog Diana – the plant looks fantastic! Mine is still quite a baby, so I don’t know when it will fruit. Maybe next year? 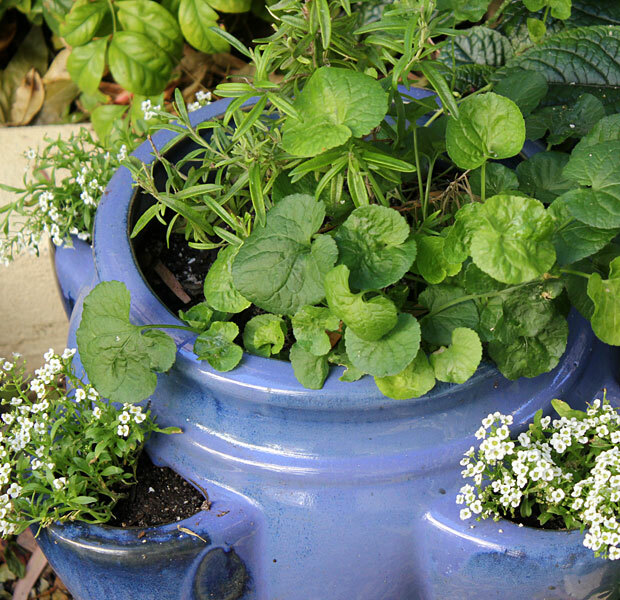 I don’t grow many herbs, but that is something I would like (and should) do. I bet the taste really is amazing compared to dried when cooking! Enjoy your incredible edibles and by the way, I think I have your coriander we bought the other day! Hi Christina – you’ve taught me another lesson. Its my first time planting Rosemary and I didn’t realise they grow so big. I will have to transplant them I think, or I will try to keep one of them small by harvesting continuously, but I don’t know if this will work. I will see. I think rocket is the same as arugula. I find that it will bolt but if you just keep picking and eating the flowering stems, the plant keeps going all through the summer and fall. I planted it in March and I am still harvesting now in December. Hi Carolyn – oh good, thanks so much for the tip! I’ll keep picking so it doesn’t bolt. Yes, Arugula is the same as rocket. I think I would like that basil. I will note the plant for next year. The rosemary and viola make a stunning display. Love the way you did the pot. I love that pot too Donna. My favourite. I think its the colour.